This large gold coin quickly became the workhorse denomination for the Mint, especially on the west coast. This denomination allowed minting of large amounts of gold with minimal effort. 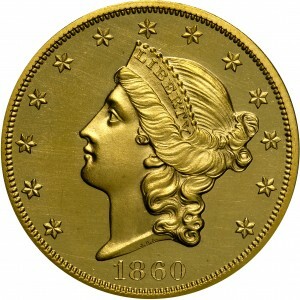 Introduced to circulation in 1850, large quantities were minted in San Francisco beginning in 1854. The designs were by James Barton Longacre, whose initials appear on the neck truncation. A lovely Proof example, the coin displayed is one of less than ten such coins surviving from a Proof mintage of just 59 coins. From Stack's sale of the Alto Collection, December 11, 1970, Lot 418. Earlier from B. Max Mehl's sale of December 1930, Lot 614. Liberty Head or Coronet Head design by Chief Engraver James B. Longacre. 13 stars around, with the date below. Heraldic eagle with ornaments in the field at the sides of the shield. Inscriptions above and below. 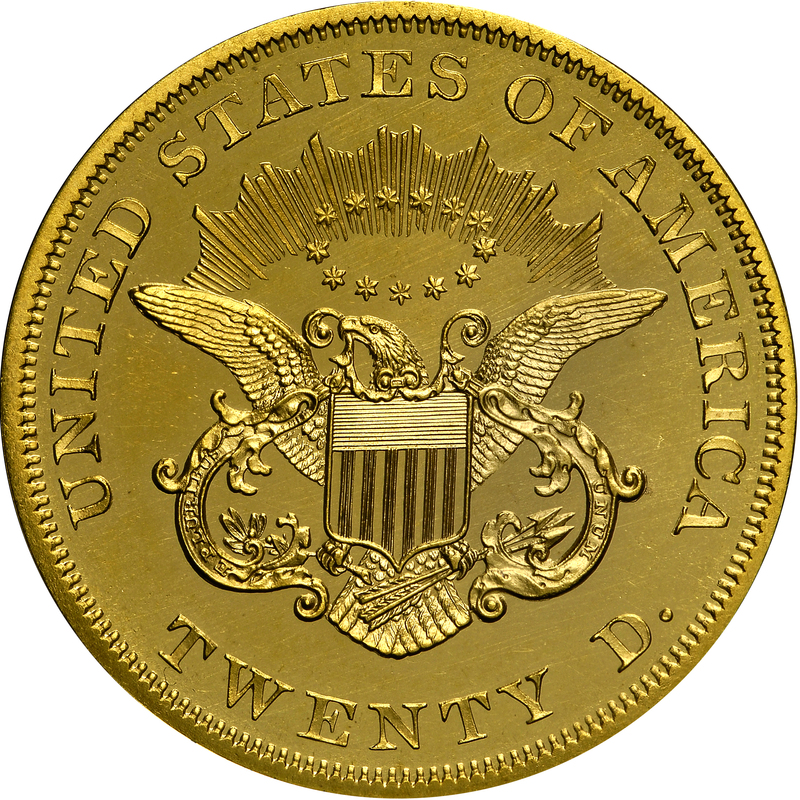 Denomination stated as TWENTY D.